Proclus (410-485) tells us that Ptolemy Soter, the first King of Egypt and the founder of the Alexandrian Museum, patronized the Museum by studying geometry there under Euclid. He found the subject difficult and one day asked his teacher if there weren't some easier way to learn the material. To this Euclid replied, "Oh King, in the real world there are two kinds of roads, roads for the common people to travel upon and roads reserved for the King to travel upon. In geometry there is no royal road." In the last round (round 9) of the U.S. Championships, a number of games were worth examining closely for my training purposes. The news link above includes the Robson-Kamsky game, which I don't look at here but which was fascinating to see during the live commentary. Kamsky again drew an unbalanced endgame after some complications, eventually winning the later playoff against Ramirez. This was an exciting contest in a Symmetrical English that Christiansen decided to unbalance with an early ...e5. It was White's move 23 pawn sacrifice that really unbalanced the game, however, an excellent example of a sacrifice invigorating a position. White breaks into Black's position starting on move 34 and some complex tactics ensue. Winning this game put Ramirez into the playoff with Kamsky. The opening phase saw Holt reject a possible early draw in an Exchange Slav and eventually end up in a closed position, but with some chances for both sides to try and make progress. Choices made about where to play were worth studying, with Houdini for example suggesting White could have pursued a queenside strategy. A long endgame struggle ends after a slip by Holt allows White to force a queen exchange that would give him a winning K+P endgame. The Caro-Kann Bronstein-Larsen variation finally chalks up a win in this event, as Norowitz masterfully uses Black's positional characteristics to his advantage, instead of having White take over the initiative as occurred in previous games. It is both fitting and ironic that Black's doubled f-pawns are the key to final victory. For Slav devotees, this game is an excellent illustration of why almost no one plays a fianchetto against it. The most interesting games of round 8 for me were on the two top boards, where Kamsky-Gareev saw some wild swings and an eventual forced repetition by Black, while Abrahamyan-Krush was a full-on clash in a Taimanov Sicilian. The games and comments can be found at the above link. The most relevant game again for my studies was a Caro-Kann, the third (!) time the Bronstein-Larsen variation has appeared at the championships. This time it was Alexander Stripunsky who essayed it as Black against Robert Hess, however, not Yaacov Norowitz. Alas, Black again went down to defeat after failing to generate any kingside attack or meaningful counterplay. In none of the games has Black seemed to want to be as aggressive as the opening demands; in this game, for example, he could have played the early 6...h5!? which in fact scores quite well. Live coverage of round 9 is ongoing and it looks like Gata Kamsky may be trying to bait Ray Robson into a premature attack against his unusual, somewhat passive-looking Sicilian Kan variation. A Kamsky win would give him clear first place. Meanwhile, Irina Krush as White only needs to draw against Camilla Baginskaite in order to ensure her title victory in the women's championship. In round 7, I found two games to be of particular interest for study purposes. In the first, Irina Krush resumes her winning ways, this time in a war of maneuver with Viktorija Ni in a Nimzo-English. Irina does not have an easy way to the win, however, missing an interesting tactic on move 29 and allowing Black for a while to have a small advantage. In the second, I give props to Yaacov Norowitz for bringing out the aggressive, unbalanced Bronstein-Larsen variation of the Caro-Kann again after losing to Larry Christiansen in round 1. Facing Sam Shankland, Norowitz varies from his previous effort on move 8 with an improvement, but after exchanging bishop for knight on f3, Black's initiative peters out on the kingside. In this variation of the Caro-Kann, if Black has no counterplay on the kingside, White normally enjoys the advantage of a free attacking hand on the queenside, which is exactly what happens here. At the time of posting, live coverage of round 8 (the penultimate one) is underway. The leader on the women's side, Krush playing Black in a Taimanov Sicilian, looks like she has a significant advantage over Tatev Abrahamyan. Meanwhile, open championship leader Gata Kamsky is having some difficulty as White against Timur Gareev. In round 6 the last perfect score in the championships dropped, as the women's leader Irina Krush was held to a draw as Black by Sabina Foisor. For me the most relevant game was Baginskaite-Zatonskih, another Modern Stonewall reached via the Slav move-order along the lines of Zatonskih's round 2 game. In this game, Baginskaite seems better prepared in general against the Stonewall and must have had some expectation that Zatonskih would go into this line again. Black nevertheless equalizes easily and holds at least some initiative throughout the game, although White manages to cleverly avoid some lurking Black threats in the early middlegame. 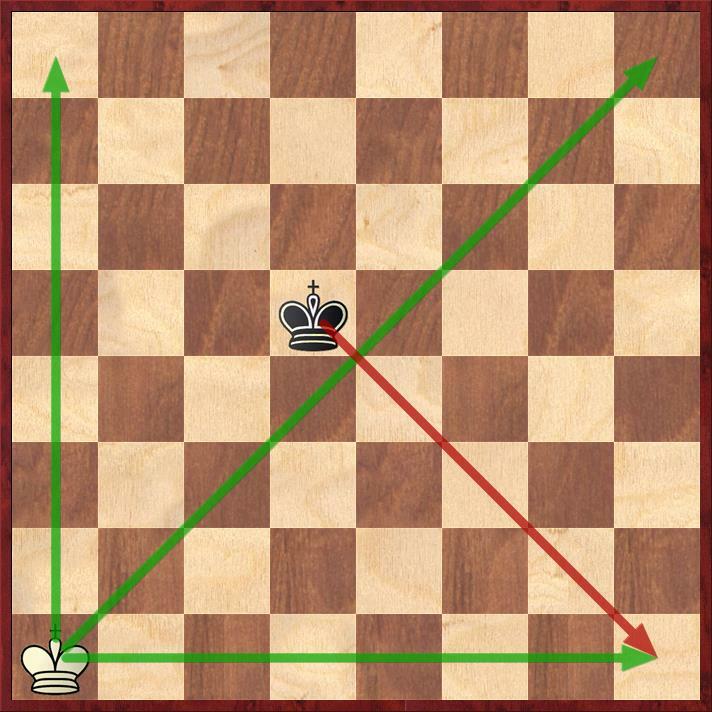 The inflection point of the game occurs on move 26 after a lengthy tactical sequence, where Black reveals a back-rank mate threat that prevents a White pawn recapture and gives her a lasting material advantage. Black's road to the victory is still quite difficult, however, and White for a long time succeeds in placing various obstacles in her opponent's way. Old age and cunning will overcome youth and skill. As quoted in the Round 5 news report, GM Alejandro Ramirez had this to say about the following game. "Shankland is known as a very booked-up player,” Ramirez said. “So I wanted to get him out of theory as soon as possible.” Ramirez said he knew the plan was working when they were both spending five minutes on every move. I found the opening to be very interesting, a Nimzo-Larsen Attack against a Sicilian-style setup, which is not the most challenging way to oppose White's ideas. Ramirez, who is blazing his way through the tournament so far, shows he is capable of analyzing unusual positions and thinking for himself while playing aggressively. The other major news in Round 5 was that Gata Kamsky was (finally) held to a draw by Joel Benjamin, while Irina Krush continued her winning streak and was 5-0. Round 4 of the championships featured both Gata Kamsky and Irina Krush winning again to keep their perfect (4-0) start. For me the most relevant game was Krush-Belakovskaia, with both players coming off victories in the earlier round. Black employs a somewhat strange hybrid of English variations, an experiment which backfires as Krush appears comfortable in the novel position, while Black's pieces become progressively more uncoordinated and her counterplay on the kingside is neutralized by White. Krush then plays the endgame masterfully, having inflicted multiple weaknesses on Black during the middlegame, and brilliantly calculates ahead to the winning K+P endgame position. The round 3 commentary on the official championships site has my two favorite games from the round, Kamsky-Christiansen and Zatonskih-Krush. In the first one, Kamsky plays in Carlsen-esque style, using a quiet opening to get to a fascinating and ultimately explosive middlegame. 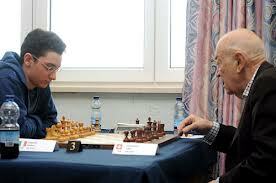 In the second, Krush plays an outstanding King's Indian and attacks on the kingside in exemplary style. They are well worth a look. Here I present another Caro-Kann, this time from the women's championship (Belaskovaia-Chiang). While the previous day's example, Kachyan-Onischuk, was an illustration of how well the Classical variation can shut down White's play, the round 3 game shows some of the interesting, major choices both sides can face that will change the course of the game. What happens to Black after she takes a "free" pawn is particularly instructive, as is White's conduct of the assault on Black's king position (on the queenside). The clash between generations of U.S. women players is also interesting in itself, with IM Anjelina Belakovskaia as a three-time U.S. champion in the 1990s returning after a long layoff and Sarah Chiang as an up-and-coming junior gaining some valuable experience at the national level. For Round 2 of the U.S. Chess Championships I found an embarrassment of riches - 5 games that I thought were particularly relevant to my chess training and studies, not just one. I was fortunate to be able to see a large portion of the excellent live coverage for round 2 as well, giving me some ideas of which games were the most interesting to me personally, along with some specific observations and ideas from the commentary. Kamsky brings out the Leningrad Dutch, which his opponent likely was not fully prepared for, judging by the novelty on move 7. Black makes a strategic exchange sacrifice and then takes over the initiative and outplays his opponent. I found both the opening discussion and the idea and execution of the positional exchange sacrifice very useful to see. It's always difficult to face your own favorite defense as White, so this game was personally important, as I've struggled to come up with a good reply after 1...c6. This is an excellent example of a solid Caro-Kann Classical, whose main line goes out quite far (around move 20). Black neutralizes White's threats and plays solidly, although White perhaps could have tried for a little more towards the end. The opening phase is very interesting, morphing from a Hedgehog to a Symmetrical English to a Benoni structure. White has a comfortable game afterwards, although not a winning advantage. The explosion of tactics starting on move 19 comes from what appears to be just a small Black inaccuracy. White aggressively pushes the passed pawn he wins as a result and leverages other associated tactical opportunities to ram home the point. Zatonskih transposes into a Modern Dutch Stonewall formation by move 6, after starting off with a Slav defense. Her opponent appears unfamiliar with some key positional ideas, such as the importance of not opening the f-file and trying to maintain a knight on e5. Despite this, White manages to stay equal after Black fails to follow up on a few opportunities. In the resulting equal double bishop endgame, Black simply outplays her opponent in an instructive manner. During the ongoing 2013 U.S. Championships, I'll provide commentary on one game each round, if I find one that is of particular personal interest. Below is a game from Round 1 featuring longtime favorite GM Larry Christiansen as White against Yaacov Norowitz, who essays the always interesting (if unbalanced) Bronstein-Larsen variation of the Caro-Kann. The opening requires Black to play energetically and try for a kingside attack whenever possible, but here it doesn't quite get going for him. White is in control from around move 21 on, although Black puts up a dogged resistance. The endgame is won after Christiansen returns his extra pawn in exchange for a dominant king. Not a good result for fans of the Bronstein-Larsen, but well worth looking at regardless. This game is from round 10 of the recently-completed FIDE Grand Prix tournament in Zug. As Black, GM Hikaru Nakamura plays a line of the Slav that complements my repertoire and I therefore thought the game was worth studying. The original game and analysis from GM Giorgi Margvelashvili can be found in this ChessBase news report. From my point of view, Mameyadrov starts to go astray as early as move 6 and never manages to recover from his experimental opening, although the play is complicated. It was interesting to see where Nakamura chose to alternately play tactically and solidly, which reveals something about practical decision-making at the chessboard. This sort of game analysis is far from comprehensive, but it speaks directly to what I think is important for opening study and for general chess improvement. Digging into games that interest you and seeing what decisions were made and why can only help your chess.